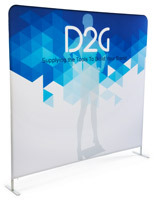 This pop up display features an 8' straight frame and black, hook and loop receptive fabric panels. Offering over 50sq.ft. 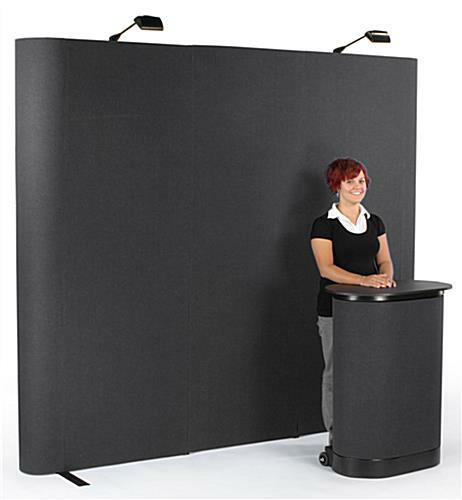 of advertising space, this pop up display is perfect for trade shows, conventions, and other promotional events. 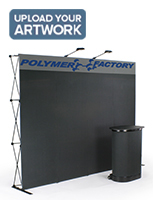 Each pop up display, also known as an exhibit booth, can display graphics, literature, and samples simply by using hook and loop fasteners. 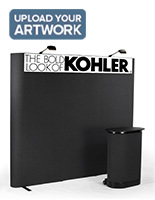 The pop up display securely holds your combination of accessories, yet allows you to change them anytime you'd like. 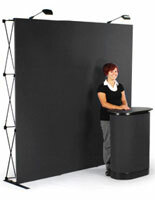 Designed for ease of use, this pop up display sets up and packs down in minutes. 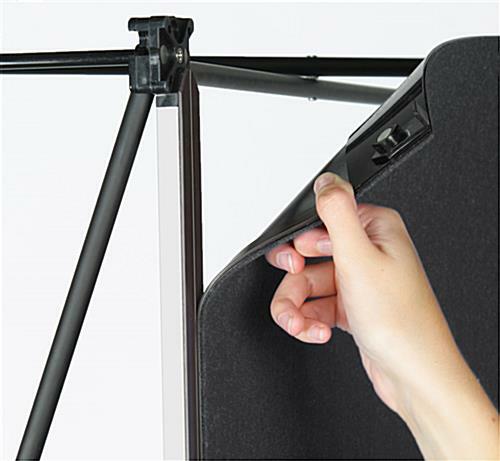 To assemble, just raise the frame from the ground and magnetic connectors will automatically snap the pieces into place. 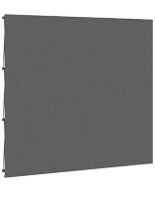 The fabric panels then attach to magnetic channels bars along the frame, while fabric end caps provide a finished look. 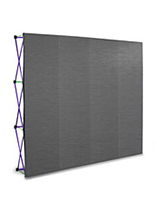 The innovative design of the lightweight frame and magnetic panel system make it easy to create a seamless looking display in no time at all. 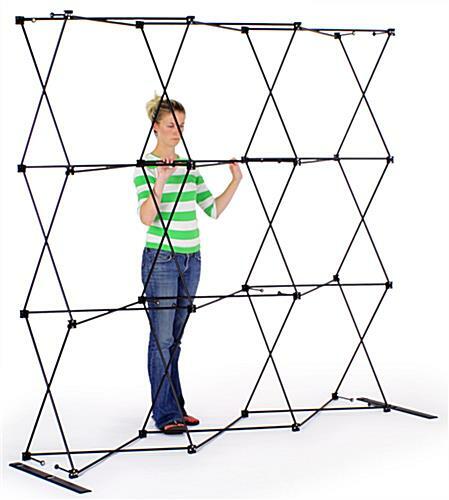 We sell this pop up display with a molded, hard plastic carrying case that features roller wheels and security locks. 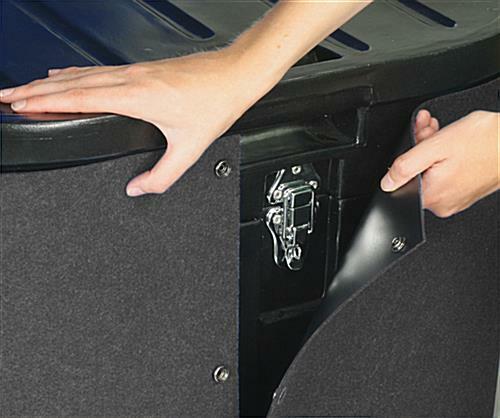 This travel case also coverts into a display counter that can be used to enhance your trade show booth. Use the counter as a reception point in your exhibit, or a place to display informative literature and samples. 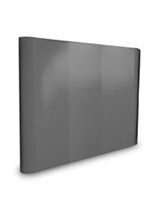 A black wrap-around fabric panel and laminate countertop are included as part of the conversion kit. 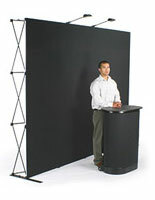 Also included with this pop up display are two halogen spotlights that attach to the top of the frame for added exposure. A foam-padded compartment in the case keeps these lights from breaking during transportation and storage. 96.0" x 91.0" x 13.0"
Easy! I was skeptical of how easily this display could be put together but it really is easy. No tools and no strength needed. A step stool is helpful/necessary if you're under 6 feet tall which I am. 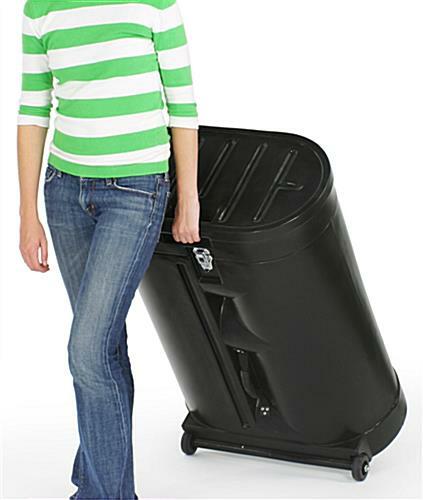 It breaks down just as easy and I'm excited to use it at my next trade show.